"These things are everywhere its annoying me a bit." Gaylord exclamed while another appeared from the side causing him to swiftly with ease stab it then slam it into an almost pulp. "To the incinera- oh wait ill just burn it"
taking out a small handheld cylinder that reassembled a silver PVC pipe about 4 inches in diameter with a small green button on top. when pressed it precured flames which engulfed the remains of the creature leaving behind charred dust. As more approched he began wondering how good they could compost or since they were plant like wetger or not they were edible. Koryu had the right idea in Grants opinion; waiting in the house to be attacked was a losing strategy, while taking the fight to the enemy might catch them off guard. The prince plowed through the rickety wooden door of the shack to find one of the creatures preparing to launch itself inside. Grant steamrolled right over the creature and skidded to a stop to find himself faced with dozens of the plant creatures rushing toward him. Without hesitation, his hand blurred toward the gun he wore at his hip, and he fired off all six shots faster than the untrained eye could track; blowing fatal wounds in six of the creatures. But the rest were undaunted by the deaths of their brethren, and rushed headlong at their killer undaunted. Sliding the revolver back into its holster, Grant increased his MERLIN implant to ten percent, and charged to meet the creatures. The monsters moved to surround him, and attack from all sides, but he dodged each attack, retaliating with punishing blows that crushed them to pulp. It was a chaotic dance of carnage that unfolded around him as he fell into a rhythm of blocking, dodging, and attacking. So busy was he dispatching his foes that he didn't notice the corpses sprouting vines that went from one corpse to another, or how the blackish blood all seemed to flow to one spot. Only when the last of the creatures had fallen did he notice the giant bulb that had been growing as he fought. Now the bulb burst open, and a new creature strode out to meet him. With the arrival of the newer, larger creature, Koryu was adamant on standing his current ground first. The larger monster could be a threat, though the smaller ones could easily prove a greater threat if their numbers were allowed to gather in a united front however primitive it might be. His Nodachi made quick work of the lot of them with and 1:1 ration, and the occasional deflecting of on in between whether it was resisted with the the blade used defensively, or with one of his striking limbs. When the numbers began to overwhelm the rate in which he could keep up with, he could be seen hosting his blade defensively with a single hand. The opposing hand gesturing a few foreign movements with its fingers. Inhaling deeply, Koryu's chest swelled unnaturally for a brief moment as his parted lips displayed tongues of flames licking between his teeth. A moment later and his head was turned more so to the left as he released an impressive gout of flame that reached at least 12 feet away from him. Moving from left to right, he swept the area before him, igniting several of the smaller creatures aflame by the end of the technique. As they rolled and ran to and fro, he let the flames do the heavy lifting to finish off that grouping as he assuredly made his way towards the larger creature without sparing a single smaller one in his path. Fire. There are flames everywhere. When faced with an overwhelming number of plant monsters, the Madame was forced to act appropriately. 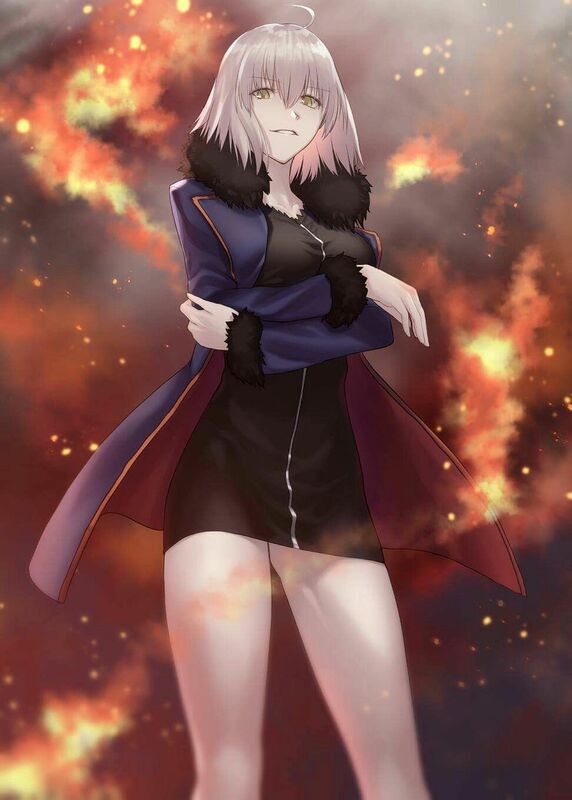 In response to such an unfair battle, she began unleashing one fire spell after another, turning this dirty, unclean land into an inferno. Plant creatures seemed to screech and scream in agony as their bodies slowly burned away. Amidst this chaos and carnage was the Madame, arms crossed across her chest, that ever-present smug look plastered on her face as she looked down on all the dying plant monster kin. She was not the one at fault here for using excessive force. One can say it was an act of self-defense but knowing the Madame, she must have been enjoying the show. Like a lot. Jokes aside, the tables turned against her once more as another larger plant monster appeared, this time twice as large as the Madame. She merely gave the behemoth one languid glance bore another bout of fiery hell engulfed the monster but the blasted thing was unaffected. Well, this certainly complicates things. Grant charged the creature as it ignored the fire spells Linda Linda pelted it with, and moved to throw a giant punch at the prince. In response, Grant jumped over the blow, landing on the creatures arm as its fist plowed a crater into the ground. From there he used the limb as a springboard, launching off it to deliver a spinning kick that sent cracks spreading through the left side of its head. However, unnoticed by the prince, the creature had been moving its hand to meet him, and an instant after his kick landed he was swatted out of the air by a gargantuan limb. He flew many yards through the air before he hit the ground, plowing a long furrow in the ground before coming to a stop. Struggling to his feet, Grant spit out a mouthful of blood before charging in again. This time the behemoth responded in kind, shaking the earth with each footstep as it gained momentum. As he closed in, Grant went into a slide that carried him between the beasts legs, and behind it. He pushed off the ground and hit the creature square in the back, snapping wood and causing the creature to bend at a forty five degree angle. Twisting around in the air, Grant grabbed to protruding branches and used them to throw the creature. But though it was hurt, the beast wasn't out for the count, and it let loose a swarm of vines that snared the prince as it flew through the air. It had barely landed before it swung him high into the air, and slammed him back into the ground. It followed up by spinning in a circle, digging a circular trench using the princes body. Somewhere during the course of being dragged, Grant got to his feet and jumped high into the air, vines snapping and tearing loose as he rose. Now he rocketed toward the creature at high speed. The creature responded by causing a great number of wooden spikes to erupt from the ground, aiming to skewer the prince. Despite this, Grant managed to avoid every one, and slammed into the creature at top speed; crushing its body completely as black fluid sprayed into the air. Grant rested atop the wreckage of the monsters body, struggling to catch his breath. As he rested, he heard a wet thud, and looked over the side to see something that looked like a giant seed burrow into the ground. A few moments passed before the earth rumbled once more, and a creature similar in form, but much bigger rose up out of the ground. The prince looked to Koryu and Linda. "Koryu, with me if you please! We're gonna kick the crap out of this thing until that seed comes out again. Linda Linda, that will be your cue to fry it with everything you've got!" Charging in as ordered and as he had already intended, Koryu had no hesitation in his approach. Surpassing the Prince, the Shinobi pressed forth, electing himself in the role of aggressor. Judging by that last display of power made by the Prince, it was easy to leave the killing blows to him. Koryu was swift, agile, elusive; His strength was held in a round about way outside of raw, physical prowess. Augmented or otherwise. This did not make him weak however, not even close. As he closed on the newly risen monster, Koryu inhaled deeply before exhaling a gout of flame at the monster's front, angling in from it's left. As he released the flames his advance ceased, his soles firmly rooting themselves in the divots created by his digging heels upon his decision to stop. With a bend in his knees, he stood ready to impose evasive maneuvers as soon as such became necessary. As both the Prince and the other guy kept the queer monstrosity busy, the Madame on the hand was busy preparing herself too. It seems these monstrous florae are most likely the results of decades of neglect and pollution that such malignant creatures were miraculously born. Probably. Whatever created them, however, was not the Madame's concern. All she needed was to eliminate them. All she needed was to eradicate every single species from existence so she may complete her objectives. Such was the Madame's resolve. She was anathema to these creatures as she both possess fire that burns all florae to the ground and the holy blessing which can purge and purify the evil and corruption that plagued this land. Both of these qualities seemed to converge into the Madame's open palm forming the vague outline of the spear. A spear of pure magical energy infused with the intense heat of her body and the holy purity of her soul. 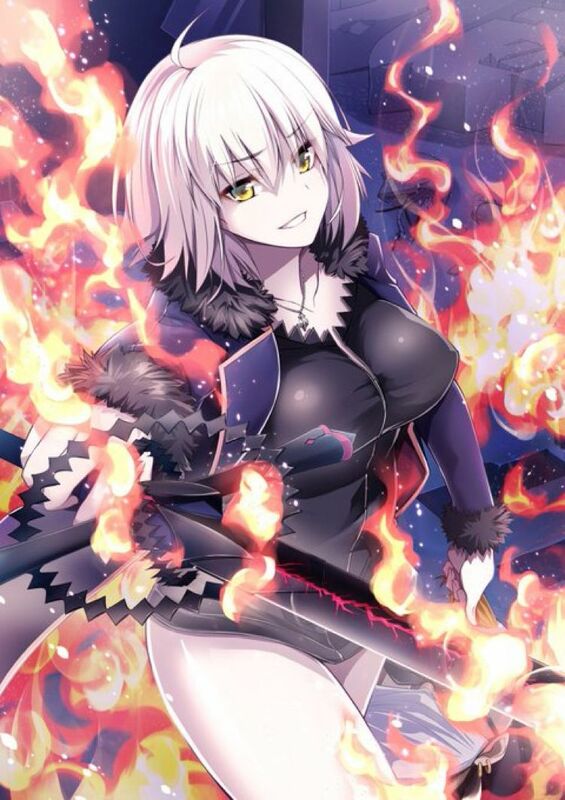 Within seconds her spell was ready, a magical spear that once it hits the mark, it will engulf the target with the divine flames' embrace. All she needed was the go signal from the Prince and she will let the spear loose. The annoying beast of the land was bugging him, dispite the possibility of being torn up by one he was rather bored, throwing fire and searching for a sort of weakness. He thought as their claws neared again for another attack. He just decided to use his fist, and when it was close enough he forced himself into where he surposed the roots met the rest of the being. He quickly pudhed his fist through and felt a bulb that seemed to be keeping the creature standing and within a second he crushed it shattering the bulb to pieces with the crushing force of his fist. Grant sprang into action with literally earth shattering force; charging the creature and stopping just underneath its massive head. He leapt into the air, and delivered a spinning kick that snapped the beasts head back with the snaps and cracks of breaking wood and tearing vines. With a gesture of his hands, he propelled himself toward his opponent at great speed. The impact drove the creature into the ground, but he was not done. This time he stayed on the creature, raining blows down upon it; crushing and pulping the plant matter that made up its body. The ground shook as he continued his relentless assault. The prince could hear the thing summoning vines from nearby to attack him, but he would leave them to Koryu, and keep up the pressure. Soon his relentless barrage of punches had tunneled through the creatures chest. Now he looked upon the seed he had seen earlier, and knew this was his chance. He grasped the seed with both hands, and pulled as hard as he could. At first the seed refused to move, but then he felt it budge; once, then twice, and suddenly the oblong organ was free. Grant tossed it up high into the air, and called out to Linda. At Grant's demand the Madame Linda Linda's eyes lit up. Now is the perfect opportunity. She must not miss this chance. The magical projectile in her hand was almost ready but not the Madame. With a grunt she leaped into the air, her form sparkling with glitter and radiant light. Holy light bathed her fiery spear as she drew her gripping hand back, body poised to release the projectile. "Oh you poor thing. Born from neglect and pollution. Allow me to free you from your shackles." Grunting, Linda let loose of her magical attack. The spear flew straight and true hitting the poor seed, piercing right through it. Then Linda's power kicked in and the cleansing flames of the divine fire and Linda's holy light assaulted the poor seed. Satisfied, Linda breathe a sigh of relief. "Bask in my radiance. Be honored, poor seed for you have been blessed with my presence." Swiping the air, he whipped any immediate debris from the blade before sheathing it traditionally. The ruined creatures failing body was burning to cinder, and the source of it's life had been identified and eradicated. Though he was far from a monk, the shinobi was aware enough of some religious text. Specific readings of things such as Karma and denouncing the thought of duality in existence, This was a sin all the same. Placing his right fist before his face, he extended the index and middle finger, pointing them straight up, his thumb side of his hand closest to his face. He muttered a brief prayer for the slain, hoping that it's karma would not prevent it from being reincarnated into something better than it's previous misfortune. That is, if it had a soul trapped within that precious seed. Once finished, his hands fell naturally to his sides and he began to look around, hoping to account for all the faces he saw when he arrived. Simultaneously, he approached the Prince directly. "I wasn't aware you were a warrior Prince, not that I'm that surprised. Perhaps during some down time you can tell me more about your culture. Is everyone accounted for?" Grant grinned at Koryu, "A prince must defend his people after all. You're quite impressive yourself, as are you Madame." Looking out upon the fields, it was clear that any remaining plant creatures were dead or dying now that the big one was gone. With that danger passed, they could now clear the fields in peace. Of course, he would also need to have the corpses examined to find out all he could about the things, but all of that could come later. For now, he was ready to call an end to a hard days work, and go get a drink. He would even invite the others to join them. SUMMARY: Seeking to advance the THRIVE initiative, Grant Knight and a squad of volunteers go to clear away dead vegetation so that new life may bloom from the leyline his mother had struck a bargain with. At first, all goes well, but soon things take a turn for the worse. 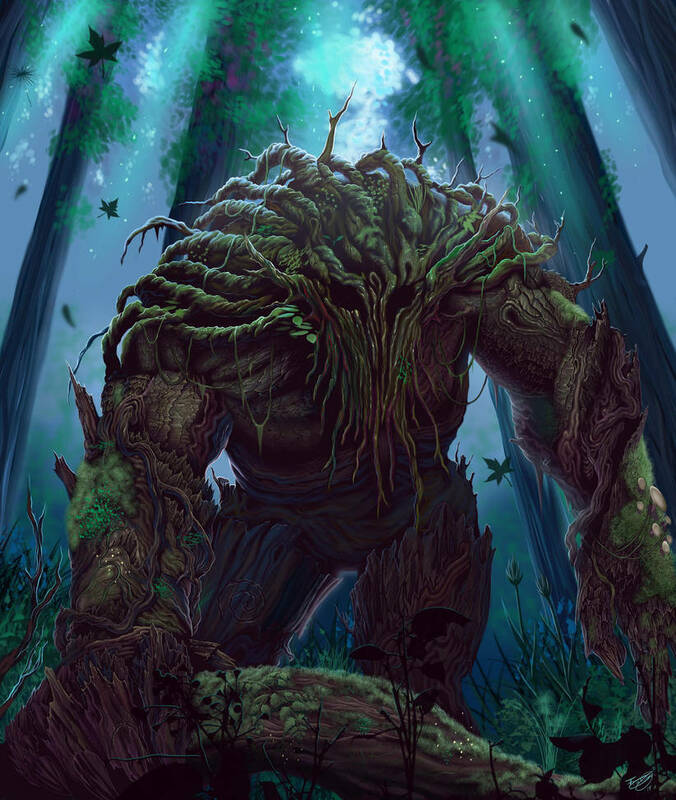 The group is set upon by a pack of vegetation monsters seemingly spawned from the pollutants that had been deposited there by the Tyrant King. After fighting off numerous smaller entities, an alpha shows up, but is defeated by the Prince and his allies. The land is now clear of death and decay, and ready to be farmed. SHORT SUMMARY: A mission to cleanup polluted land becomes a fight for survival.